A feature that Google added to Android 7.1 hasn't received much in the way of any press. However, this so-called "panic detection mode" helps users exit out of malicious apps. According to XDA Developers, this feature tracks how many times you press the back button within a certain period of time. Four button presses at .3 seconds a tap or faster will set off the mode, override the app, and send you back to the home screen. This comes in handy if a malicious app prevents you from leaving it by backing out through its pages. The detection in "panic detection mode" sees that you are trying to exit the app you have loaded. And the speed with which you are trying to exit the app indicates panic on your part. Once the feature kicks in and you're safe at the home page, you can then delete the rogue app that is giving you so much trouble. While this is certainly handy to have, there is one thing about panic mode that won't necessarily make you feel panic-free. The latest distribution numbers show only .9% of Android users running Android 7.1. The panic detection mode is found on Android 7.1 only, which means that a very small number of Android users have protection from a malicious app trying to keep them from exiting it. 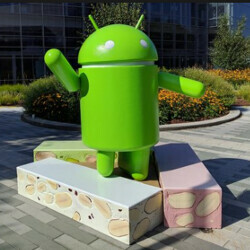 By the time that is rectified and a much larger percentage of Android users are running Android 7.1, developers of malicious apps will have already discovered a new way to poison the platform. Who can't press the home button once and go to home instantly? Why panic? "This comes in handy if a malicious app prevents you from leaving it by backing out through its pages." How about try to read the article and be thankful for this information?.